With many tiered Chamber membership levels available, there’s bound to be a perfect choice for your business that gives you all of the benefits you need to thrive in the community. Check out our different investment levels now! Stay up to date with all of the local events in the Minster, New Bremen, and new Knoxville communities. Our Chamber Calendar gives you a one stop solution to make sure you don’t miss any of the local activities! With many tiered membership levels available, there’s bound to be a perfect choice for your business that gives you all of the benefits you need to thrive in the community. Check out our different investment levels now!  The mission of the Southwestern Auglaize County Chamber of Commerce is to foster cooperation within the communities of Minster, New Bremen and New Knoxville – actively working to strengthen and promote the growth of our businesses, support our citizens through local activities, and enhance the quality of life in each community. The Village of Minster is set in beautiful rural Auglaize County, yet lies within easy reach of several metropolitan areas. Minster is a wonderful place to explore, operate a business, or take permanent residence. The Village of New Knoxville exists to create a safe and healthy community where individuals can reside, enjoy leisure activities, engage in commerce, and find employment. New Knoxville’s warm community spirit and big heart makes visiting the village a pleasant experience. New Bremen is a wholesome place to live offering a variety of activities that the entire family can enjoy. There are many local and regional organizations which all contribute to making New Bremen the quality community it is.